about us - and you! < About Us - and YOU! Our beautiful building on Route 9 in Latham, NY. 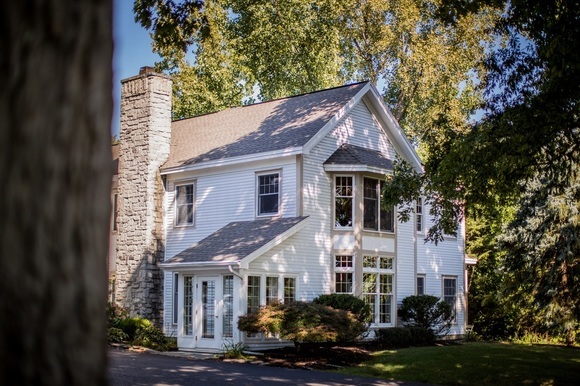 ​​Nestled among the trees on a spacious verdant lot on Old Loudon Road in Latham, our lovely building has the character and craftsmanship that we hold as core principles for the services we provide. Once an old farm house, in the early 90's this now elegant building was completely rebuilt by the Michael's Group - a local builder well known for its uniquely-designed, high-quality homes. We hope you enjoy the serenity, comfort and character our one-of-a-kind salon provides! ﻿Welcome to Changes Hair Salon! Copyright © 2016. Changes Hair Salon. All rights reserved. ​ Web design by Marshall Arts & Services.